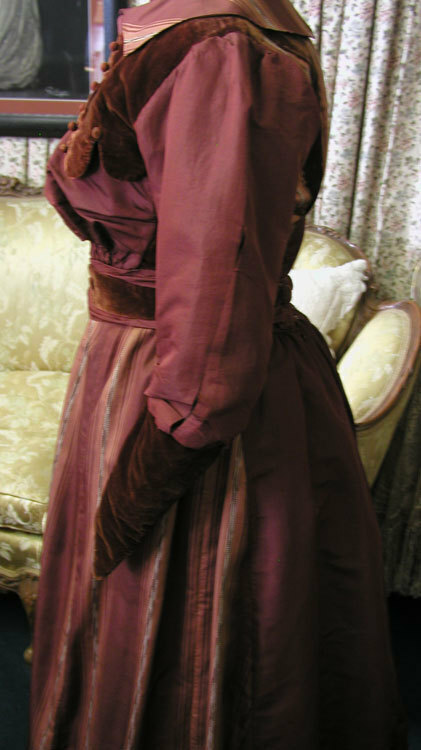 Victorian sleeves but added a large collar on the neck line. It looks like there was a panel taken out of the back skirt as well. It originally would have had a large bustle. There is no lining in the skirt. 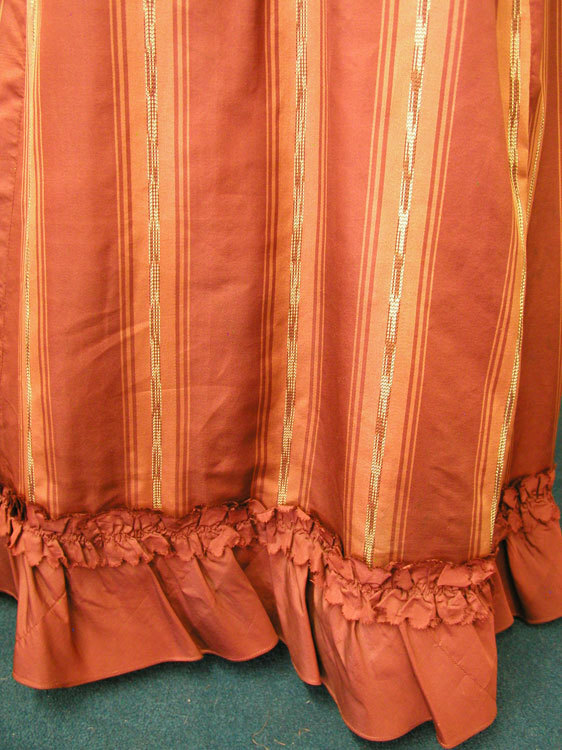 The skirt doesn't have any hooks and eyes at the waist band. There are a few pin holes in the skirt. 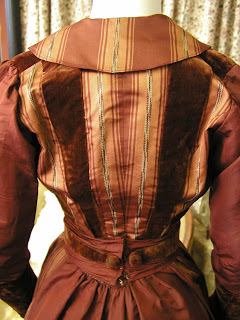 The bodice has wear to the velvet and has two splits in the left sleeve. One is 3.5 inches long and one is 2 inches long. See photo. 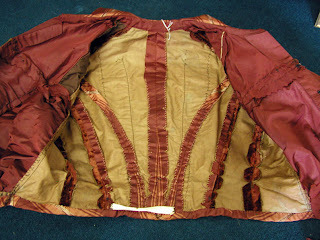 The bodice has a waist of 26, a bust of 34 and a back of 12.5 inches. The skirt has a waist of 26 and is 108 inches around the bottom. It would be wearable with care. 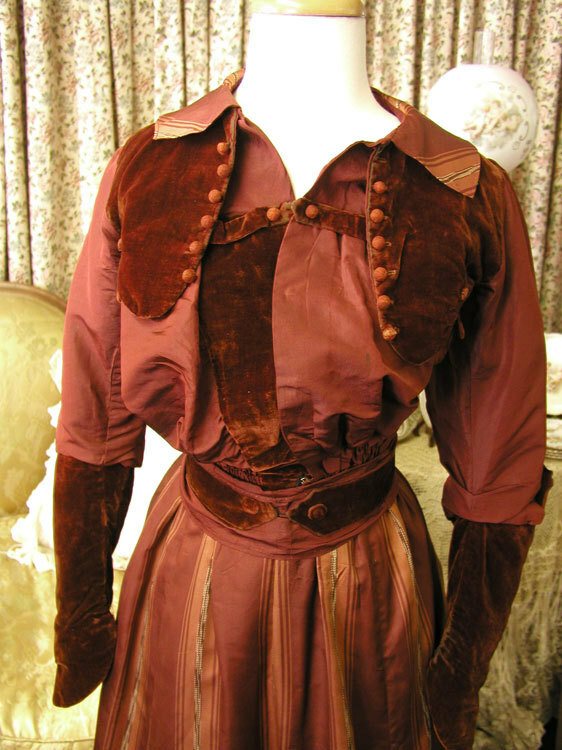 Although I can see where it might have been an 1880's outfit at one point in it's life, this outfit is definitely in the 1900's styling in it's current form. Everything about the color, the print, and the styling screams "Wild West" to me. 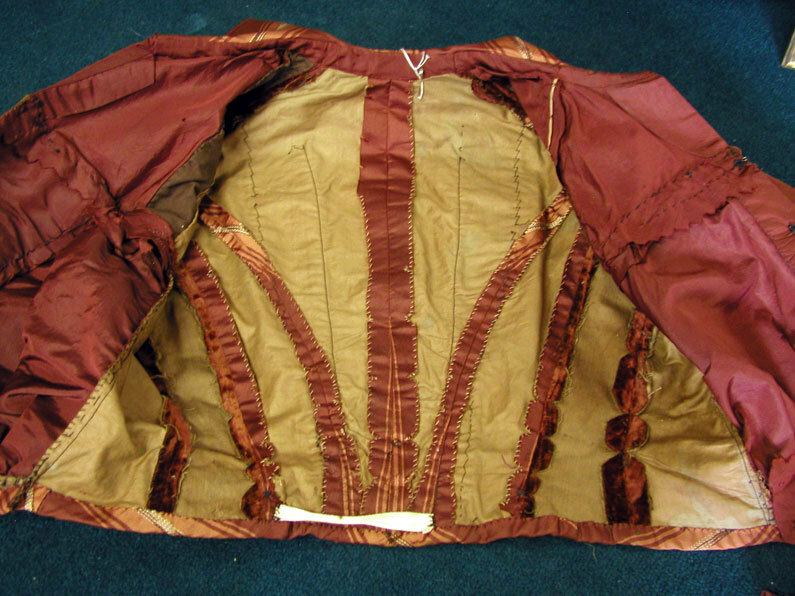 It's really an interesting looking piece and the more I look at the bodice, the more I love it.